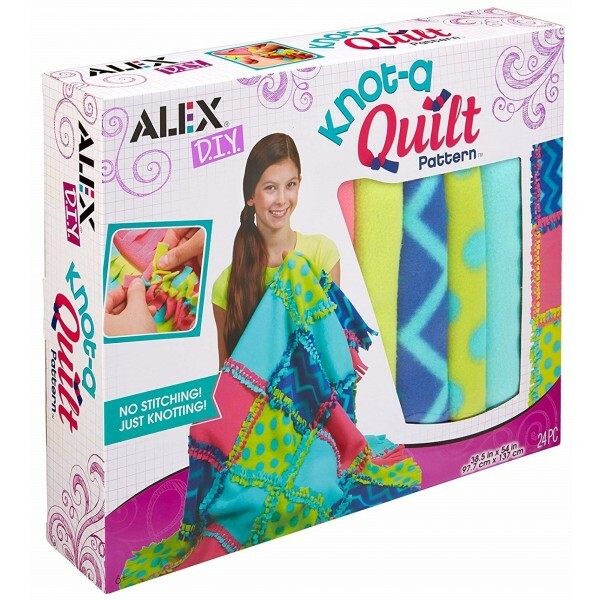 Want to make a super-cozy quilt in no time? Just knot it! 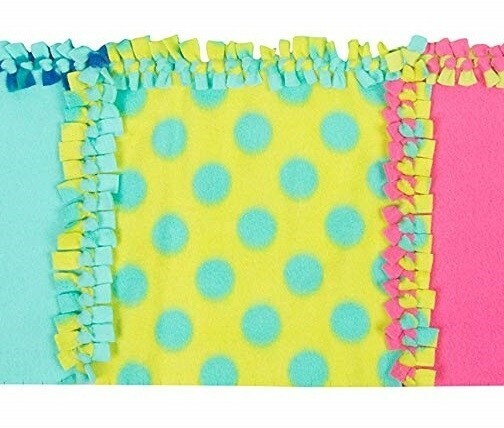 This kit from Alex DIY makes it fun and easy to make an extra-large, colorful fleece blanket. 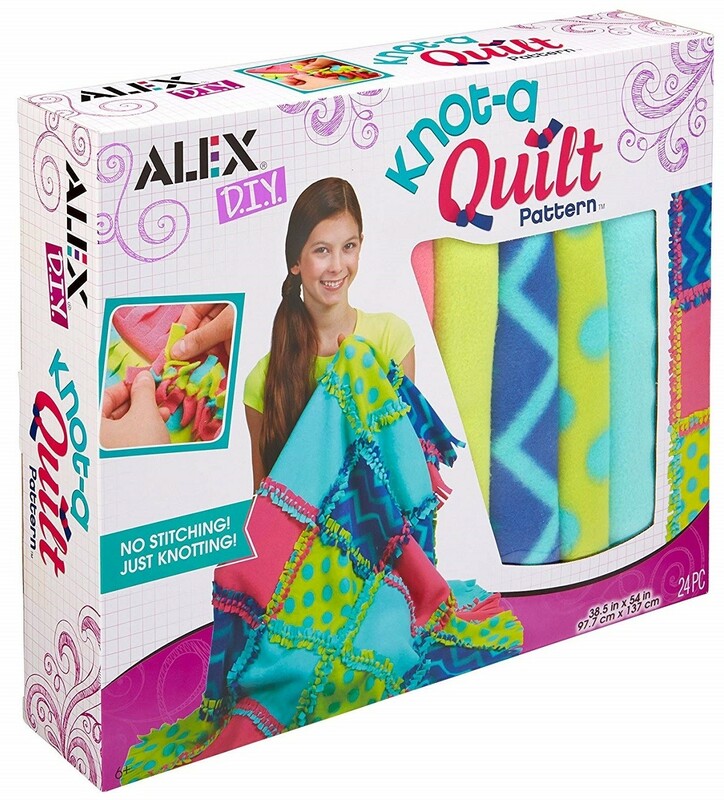 Just tie single knots in the fringe on the colorful fabric pieces to piece together a uniquely you quilt! The fabric pieces are super thick, soft, and fuzzy on both sides for extra snuggling. 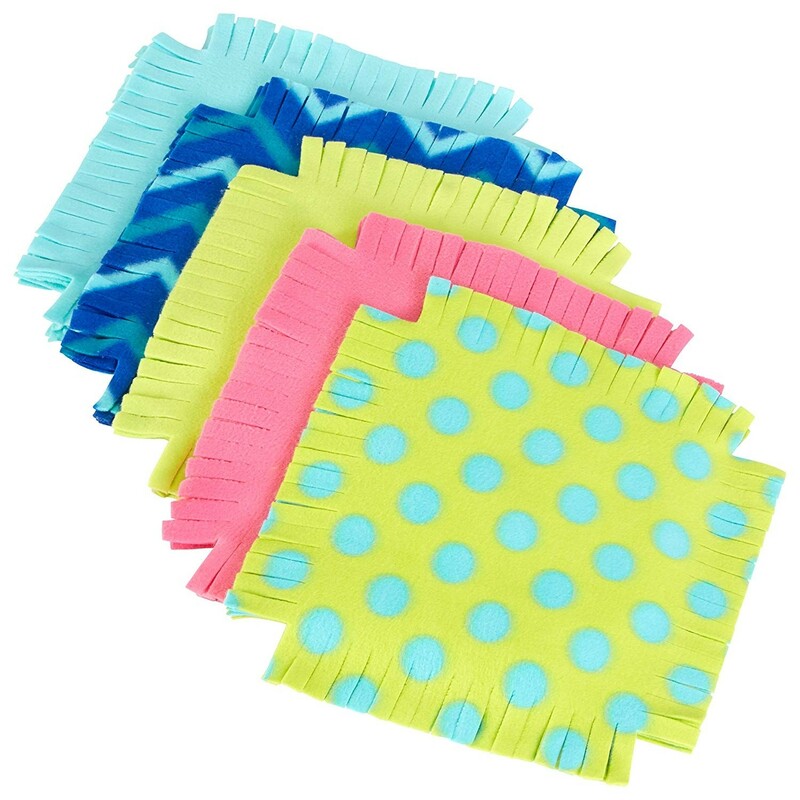 The 48 11.5-inch by 11.5-inch pieces feature bright colors and fun patterns like dots and stripes. The finished quilt is 38.5 by 54 inches — or piece together fewer pieces to make scarves or smaller projects! Illustrated instructions and design ideas are included.